Americans are getting older. The average lifespan has increased significantly over the last 100 years thanks to better living conditions and medical advancements. Many aging adults decide to move into new senior living communities that provide on-site assistance. However, some people want to remain in their homes. While this may make an elderly family member feel more comfortable, it could actually pose serious health risks. Stairs pose a serious risk for the elderly. Between poor eyesight and exertion, going up and down the stairs can be physically challenging. A small slip can lead to a serious, life-threatening injury. Ideally, the elderly should live in a single-story home to eliminate the concern of scaling a flight of stairs. But if an aging family member wants to stay in their two-story home there are solutions that can allow them to stay where they are. 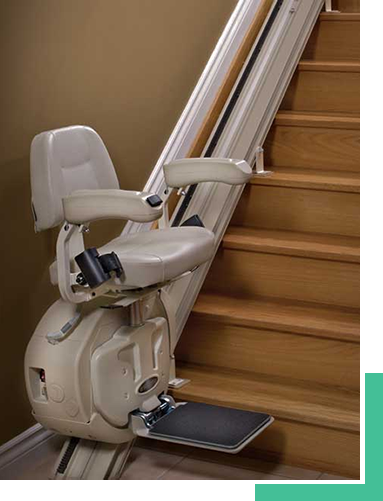 A stairlift can be used to safely go up and down the stairs. Stairlifts can be installed in as little as a day and are retrofitted to work with the existing staircase design. Outside of the home ramps may need to be installed to reduce the risk of falling on walkways. This is an absolute must when the elderly have a medical condition and live at home alone. Medical alert devices can be discreetly worn so that help is a button away at all times. These devices were introduced decades ago, but they’ve come a long way since then. There are a lot of options that go by a variety of names including fall monitor, medical emergency response system (MERS) and personal emergency response system. Choosing the right medical alert device begins by assessing your loved ones needs and risks. The best options tend to be devices that work automatically. There’s no need for your family member to learn how the device works and if issues like dementia form down the road it won’t affect the use of the device. At the very least the medical alert device should have fall detection and the ability to connect with a response center or local emergency service providers. You may want to consider advanced devices that also monitor health stats, have GPS tracking and smoke and/or carbon monoxide monitoring. Improving the safety of an elderly family member’s home can be as simple as adding a few more lights. As noted above, one of the issues that comes with age is poor vision. It’s one of the primary contributing factors for falls that cause serious injuries. Automatic window blinds that go up during the day to let light in. Motion detector lights that automatically come on when a person enters a room. Clap on, clap off lights in the bedroom. Nightlights that come on when it gets dark inside. Brighter CFL or LED bulbs. Add lamps in rooms that don’t have adequate overhead lighting. It’s also important to replace bulbs whenever they go out. Regularly check the bulbs at least once a month to make sure they’re still working. The FBI reports that in 2016 alone there were over 1,515,096 reported burglaries within the United States. Thieves often look for easy targets. That’s why they typically rob homes when they think no one is there. Unfortunately, that means the homes of the elderly are also targeted. Technology has greatly expanded and enhanced home security systems. Just having a home security system installed is enough to discourage the majority of burglars from entering a home. However, an internet-connected home security system provides a wider level of protection. Home security systems that are internet-connected can send automatic alerts if suspicious, fire, smoke or carbon monoxide is detected. 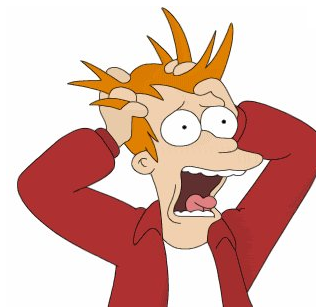 You can receive an alert or watch security videos wherever you are so that you know the second something happens. These home security systems can also be synced with other devices in the home like smart light bulbs for added protection and burglary prevention. Taking a few simple precautions now can prevent serious injury or even the death of a loved one. Carefully weigh your options and discuss it with your elderly family member to decide which improvements will make their home as safe as possible.